Buy a StudioLive, Get a FREE EarMix 16M! Now through the end of February 2019, buy any StudioLive Series III Console and score a FREE EarMix 16M! All you need is to make your purchase and then fill out the simple rebate form attached below and you’re good to go! The EarMix 16M offers a scalable solution that lets you start with just a few personal mixers and keep expanding along with your growing music team. Seriously, everyone is talking about the EarMix. Watch our buddy John Tendy of Tendy Media review the EarMix 16M! 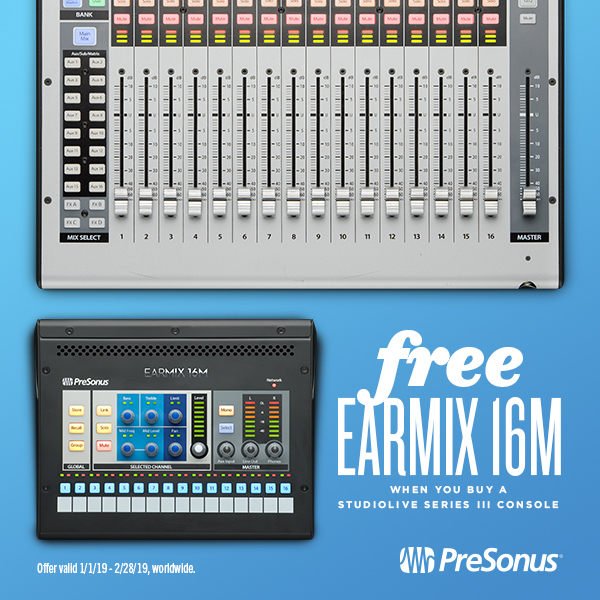 To get your free EarMix 16M, you must have purchased a StudioLive Series III console between January 1, 2019 and February 28, 2019. Entry Form must be received at PreSonus by April 1, 2019. Get the Channel Strip Collection FREE when You Purchase a Studio-Series Interface! 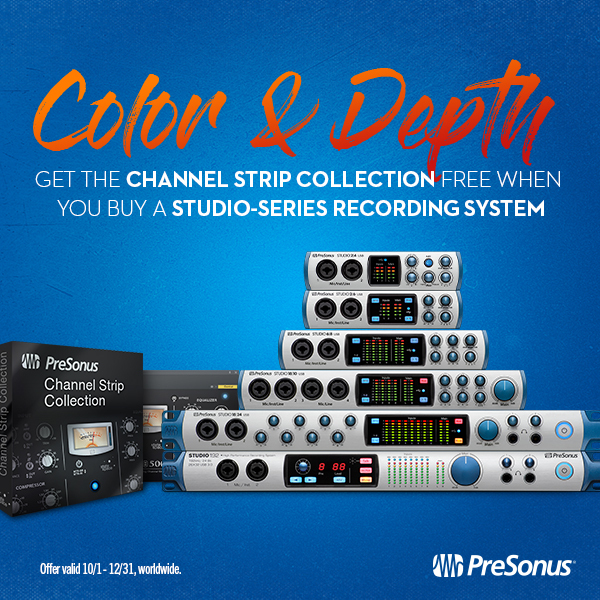 Starting today through the end of 2018, get the Channel Strip Collection FREE when you buy a Studio-Series recording system! It’s like Happy Thanksgiving, Merry Christmas and Happy New Year all at once. Here’s the deal–the Channel Strip Collection is valued at $80 and it’s yours FREE when you purchase one of these interfaces. 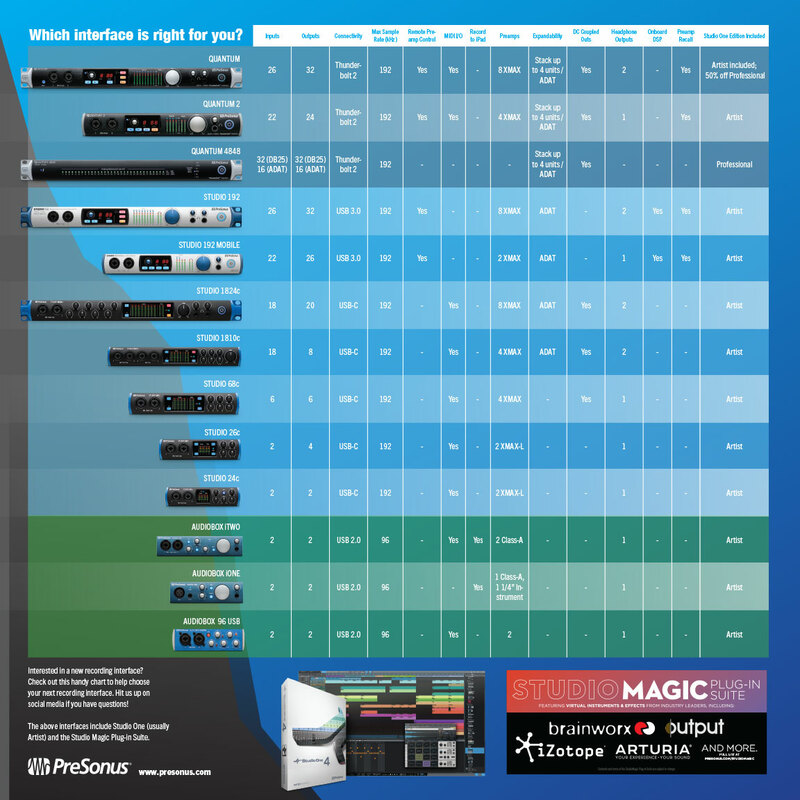 Once you purchase the interface, the Channel Strip will automatically be added to your my.PreSonus account upon hardware registration. This offer is available worldwide. Click here to find a dealer in the US. Click here to find a dealer outside of the US. Comments Off on Get the Channel Strip Collection FREE when You Purchase a Studio-Series Interface! UPDATED 1-24-19 to add new interfaces! This might come in handy if you’re in the market for a new recording interface. Click the image above to download a convenient PDF to get a convenient at-a-glance look at I/O, sampling rates, connectivity methods, and more. Enjoy! FREE Carrying Bag with Purchase of AR Hybrid Mixer! If you’re looking for an audio interface, and are considering ever moving it off your desk, the AR series is definitely worth considering! Take it off your desk, into your bag and with you wherever you go! Interested? Find a dealer in your area and take advantage of this deal! You won’t be disappointed. Click Here for the Required Rebate Form! This offer is available worldwide. Offer excludes StudioLive AR22. Comments Off on FREE Carrying Bag with Purchase of AR Hybrid Mixer! Did you know the PreSonus family tree has some Irish roots? Everyone has heard the story of Saint Patrick—the patron saint that came to Ireland in the AD 400s and converted Ireland to Christianity. Each year on the 17th of March, it appears that everyone has a little bit of Irish in them when St. Patrick’s Day is celebrated! 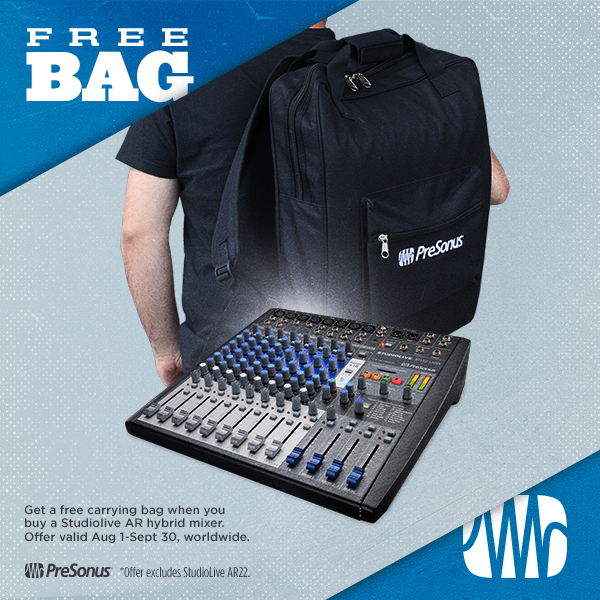 This is especially true here at PreSonus, where we can proudly say we have our own Irish relations based in Co. Cavan where our EMEA office PreSonus Europe Limited is based. 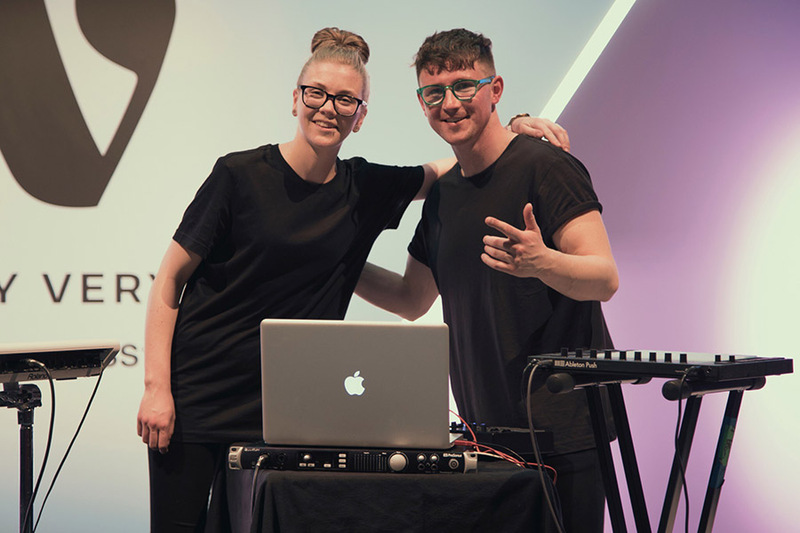 Two well-established Irish bands who have recently started using PreSonus gear are Le Boom and The Lost Brothers. We will be tracking their progress with them over the coming months… but see a quick intro into both bands below. Le Boom use a PreSonus Quantum thunderbolt interface in their live shows and in the studio. Learn more about them at their website. Irish band The Lost Brothers are Oisin Leech from Meath and Mark Mccausland from Omagh. They have just released their fifth album to huge critical acclaim. In 2018 they tour UK, Ireland, Australia, and the US. 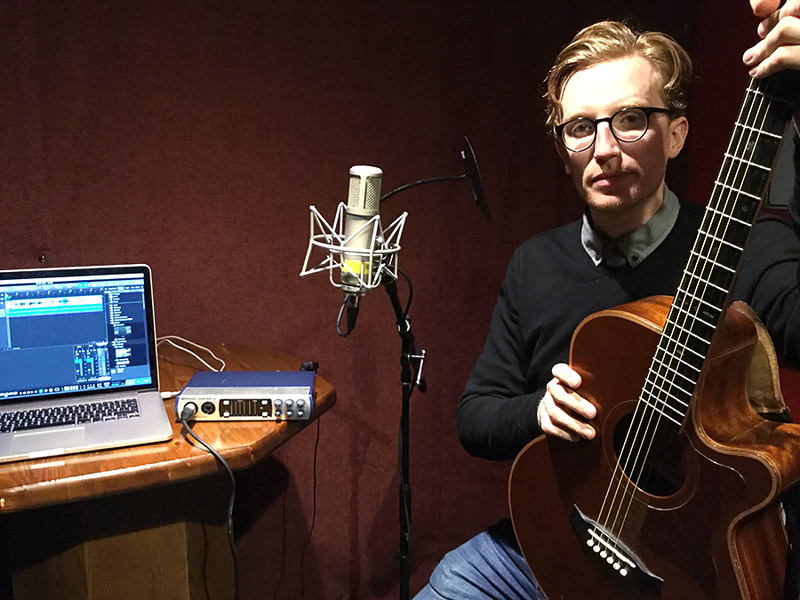 Oisin of the lost brothers uses a Studio 68 interface to record demos in his home studio and while on the road. Comments Off on Did you know the PreSonus family tree has some Irish roots? Baton Rouge-based Thou—winners of Pitchfork’s Metal Record of the Year in 2014—recently took a Studio 192 on the road to record rehearsal sessions and demos for a forthcoming full-length. Opportunities for collaborative songwriting had become more difficult for the band, as their members have scattered across the country. They typically only get together for tours and shows, making songwriting and recording opportunities somewhat scarce. Not anymore. Recording straight into Studio One via the Studio 192 allowed the band to write and record in whatever impromptu spaces their tour found them in. Josh Nee (Drums) took recordings home to edit and mix demos for the record after returning from their most recent tour. The full-length, Magus, is on its way. The StudioLive 32 has arrived: Digital Mixing Redefined. Again. 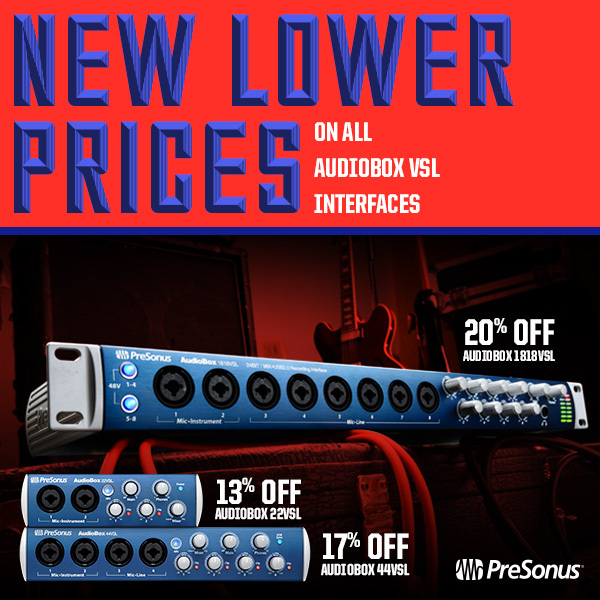 Our previous rebate offering of the AudioBox VSL interfaces proved so popular that we decided to just up and slash the prices for good. While the exact dollar amount will vary by region, expect to pay up to a whopping 20% less today than you would have just a short time ago. All members of the AudioBox VSL family sport USB connectivity, high headroom, low noise XMAX preamps, sampling rates of up to 96k, and Studio One 3 Artist. The 22VSL and 44VSL give you high-quality audio in a portable profile, and the 1818VSL is rack-mountable and expandable to up to 18 inputs via ADAT. All of these guys also offer MIDI I/O. They’re great workhorse interfaces, ideal for either home studio rigs or mobile recording. Select dealers in the USA have received shipments of StudioLive AR Mixers and AIR Loudspeakers. Find the dealer closest to you via the table below and reach out to them for an in-person demo! A new name! Universal Control AI 1.6 is now Universal Control 1.8. Owners of StudioLive Classic mixers and FireStudio-series interfaces should use Universal Control 1.74. Universal Control 1.74 and 1.8 may be co-installed to use products supported by each. 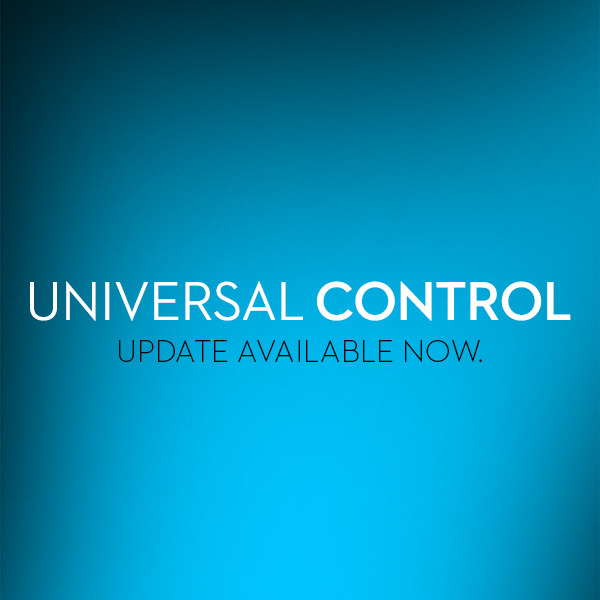 Click here to read the full Universal Control 1.8 release notes. Click here to download Universal Control 1.8.